Before entering into the life of the young Acadian, Charles Terriault in the Madawaska no-man’s territory, ‘DESTINATION: MADAWASKA’ , a bilingual book (French and English), presents a short history of the founding of the Acadian colony and life of the Terriot family in early Acadia in the 1630’s. The short history continues by connecting each generation of the Acadian family up to Charles, the 7th generation who was born and raised during the early days of the 19th century in St Paschal de Kamouraska, in Québec. This story as told by DESTINATION: MADAWASKA is interesting whether you are a member of the Terriot/Theriot/Theriault family or not because it tells the story of Acadia, the story of the expulsion of the Acadians and the story of the migration of the Acadians as it applied to all Acadians. It is an important part of our North American history. The book is available on Amazon.com now. Order a copy for your children or grandchildren. They may not learn this history from their school. In the Foreword to ‘Destination’, I talk about the absence of Acadian history in the curricula of our public schools in North America. Ask anyone if they have ever heard of Acadia, most will draw a blank. Some might mention Acadia National Park on Mount Desert Island, Maine without knowing the connection between the park and the colony. I believe that those of us who descend from the Acadians, have a responsibility to tell our children about Acadia. But ‘Destination: Madawaska’ also tells about the life of Charles Terriault, an Acadian whose grandfather, Joseph was forced to move his family of seven children through the forests of New Brunswick and Québec to save themselves from the English. Give ‘Destination: Madawaska’ to your children or grandchildren for their birthday, or for Christmas. 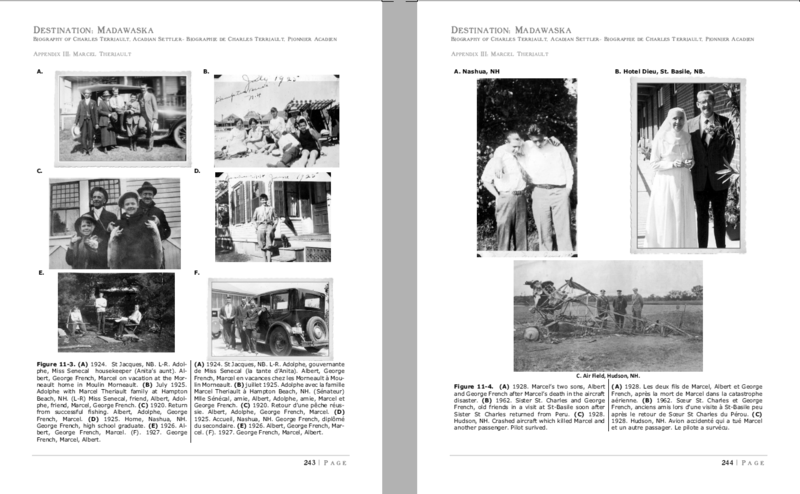 One of the features of “DESTINATION: MADAWASKA”, (Second Edition) is the genealogy dictionary of the descendants of Charles Terriault. Charles was a grandson of Joseph Theriault  who fled Acadia for St Roch des Aulnaies, Québec in 1759 to avoid the English. He was one of the early settlers of the Madawaska territory. So, if you are a descendant of Charles, your name is in the dictionary! In addition, any other family who is related or married into this branch of the Terriault family is also included in this dictionary. Some examples are the Plourde, Morneault, St Onge families along with dozens of other families who are included in the Dictionary. All generations from Charles’ generation (7th generation) up to the 15th generation are included in the Dictionary. You can browse the Dictionary’s NAME INDEX right here so that you can check to see if your name is listed. If it is, then you and your immediate family are listed in the new Second Edition of “DESTINATION: MADAWASKA” now available on Amazon.com. Check it out! Well, okay. I missed my mark. My original plan was to publish the Second Edition of my book “DESTINATION: MADAWASKA” by Christmas. But one thing led to another and well, here we are, its March 25 and Spring is just around the corner. The book is available around the world on Amazon websites in the US, Canada (Amazon.com), in Germany, France, Japan, etc. the descendants of the Joseph  family, his son Charles and grandson, Charles who was the first to settle in present-day St Jacques, NB. the descendants of Charles Terriault who wish to teach their children and grandchildren where their names are in our family genealogy. The book makes an excellent gift for a Theriault grandfather or grandmother to their grandchildren. The book is bilingual and reminds us all of our French heritage. The book also introduces us to the aunts and uncles that we use to hear our parents talk about; Tante Pélagie, Oncle Adolphe, Tante Claudia and of course ‘vieux grand-père Joseph’s’ family with Régis, Joachim, Antoine and the girls: Édith, Delphine, Flavie, Christine, Délia and Soeur Almida. 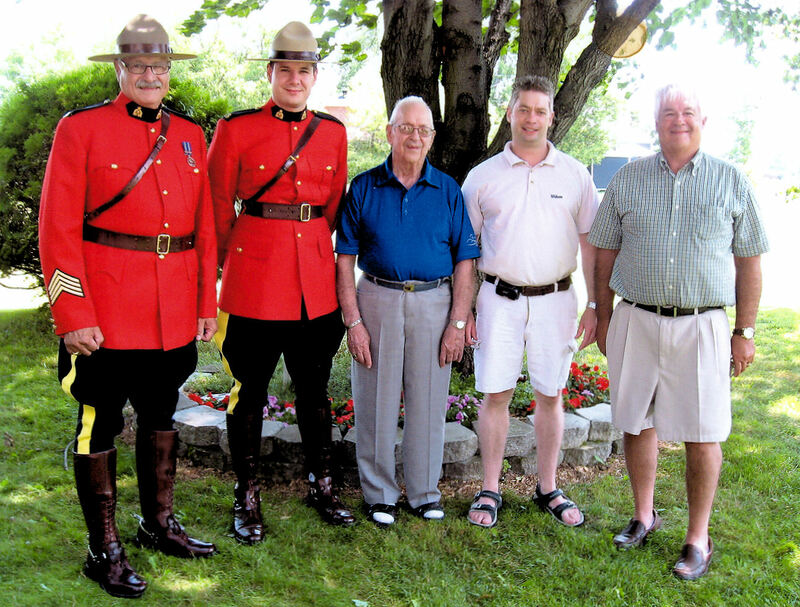 But more than that, I also go into much detail about the Theriault connection with the Morneault, Plourde and St-Onge families in St-Jacques. A very important connection indeed! 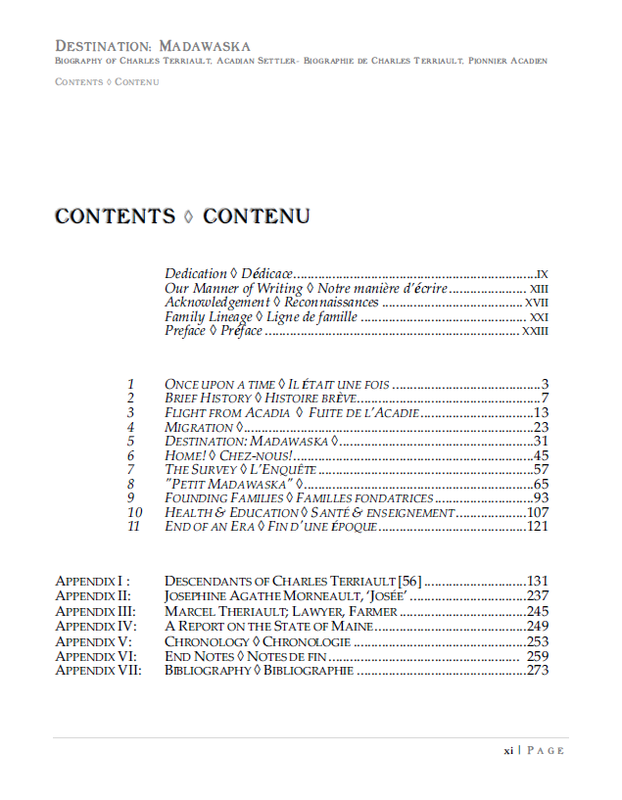 The book includes a genealogy dictionary of the descendants of Charles Terriault showing all the names of the descendants including some born as recently as in the year 2000. Now, let me tell you about some of the additions that I have made. The First Edition was 100 pages in size. The Second Edition is 300 pages. The photos and other illustrations are much larger. Some are even large enough to frame! First, if you are related to the Theriault’s of St Jacques, NB or Baker Brook, NB or you’re married to one, or you are cousins with one or even more distant relationships, then your name is mentioned in the Second Edition. I have added a ‘Descendants of Charles Terriault Dictionary’. If you have not read the First Edition, you may not know who Charles Terriault is. So, to give you a point of reference, Charles is my third great-grandfather. (In the book, I tell you exactly where he settled…. he basically owned about 60% of the town of St Jacques as it exists today.) He is a member of the Terriot family’s 7th generation. To give you an example, I am a member of the 12th generation along with all of my Theriault cousins. Our parents were members of the 11th generation. You will even see the names of some of the members of our 15th generation! The ‘Dictionary’ is about 100 pages long and includes a name listing to make it easy for you to find your name and other people. It is very easy to use. 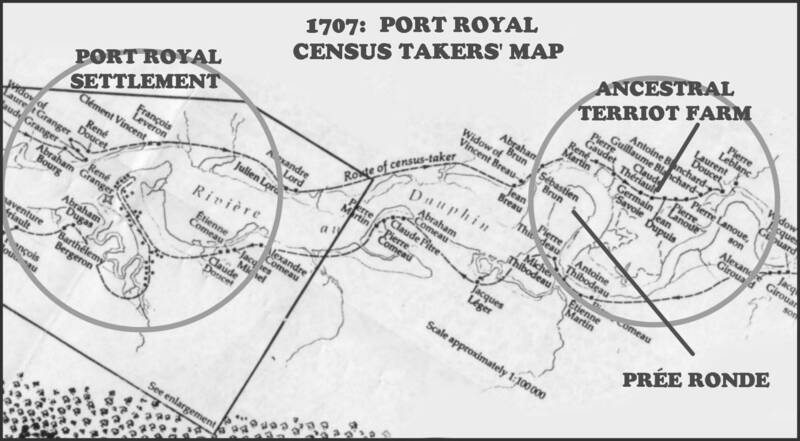 The book takes advantage of our GPS technology to point out exact locations of important places where Acadian history and Terriot family history took place. Speaking of Charles Terriault… it turns out that in the First Edition, we incorrectly identified an important photo. Using computers and my graphic software to look at the pixel level, I was able to see that the old tin-type photo had been signed by Tante Pélagie telling us that the person in the photo was her grandfather Charles Theriault! (See photo of Charles above.) It’s the only photo we have of Charles. By the way, he was born in 1796 and died in 1880. The photo was taken around the late 1870’s!